We need the powerful reminder found in the book of Jonah today. The reminder that God’s salvation is for all people, no matter their history or their past sins. We need to hear God’s call again to go, go to those who are far from God and tell them about Him. We don’t need to worry about whether they will respond. The book of Jonah reminds us that it’s the power of the Message, not the messenger which brings people to repentance and salvation. We just need to be obedient to go and not run in the opposite direction. You see, the story of Jonah is more than just a story of a disobedient, runaway prophet and a hungry fish. It’s a story of a compassionate God who longs for no one to die, not even a nation who has done great evil in His sight. Regardless of their sins, God still longs for them to come to salvation. His heart of compassion is not limited by the severity of their sins. He desires for them to turn from their evil ways and repent, rather than continue down their destructive roads which lead to judgement. So, God sends one of His own, a reluctant prophet to warn them of the coming judgement. The story of Jonah is not just a story of a compassionate God and a rebellious nation, but also the story of a compassionate God to His disobedient child. Like Jonah, God has called each of us to do things in life that we haven’t wanted to do. For some, it is to forgive someone who has hurt you. For others, it is to reach out to someone and show them love. Still for others, it is giving up a variety of addictions that compete for our hearts. Whether we are an outsider to the Kingdom of God, like the people of Nineveh, or an insider, like Jonah, the book of Jonah is a reminder that God goes to great lengths to demonstrate His grace and mercy to all. Written as a historical narrative, the book of Jonah doesn’t focus on Jonah’s prophecies but rather on his story of running from God and finally turning back to God in reluctant obedience. It’s a story Jonah wasn’t eager to participate in, yet a powerful story which shows God’s sovereignty through each chapter. Maybe like Jonah, God is calling you to reach out to someone who is far from God. 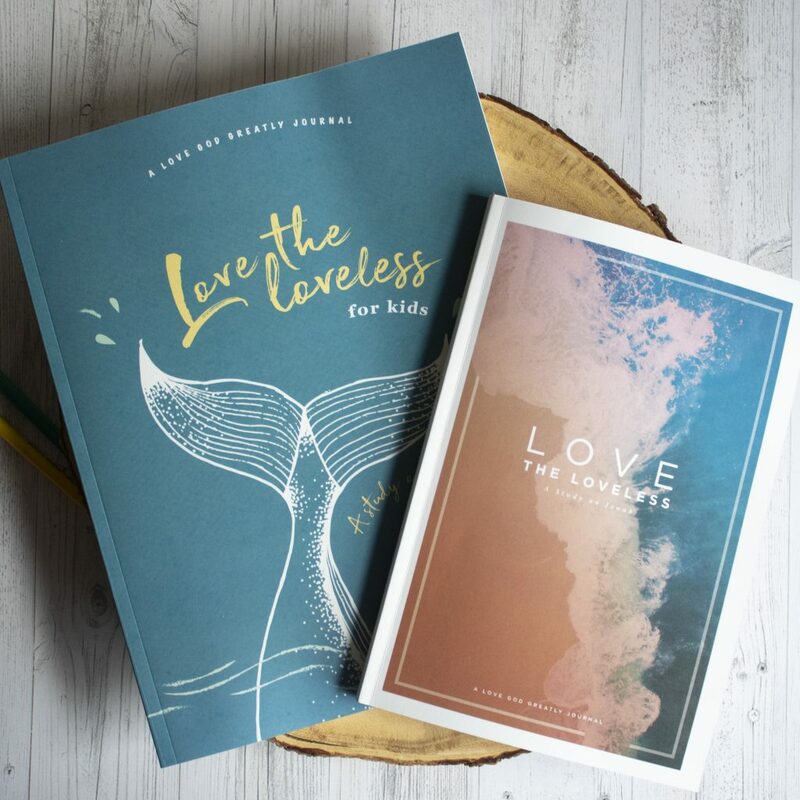 Someone who might be hard to love but needs to hear about God’s relentless love and salvation anyway. And maybe in your heart, you are reluctant to go, too. Go anyway and your heart will follow. I promise lives will be changed when we do, maybe even our own. Because no one is beyond redemption. 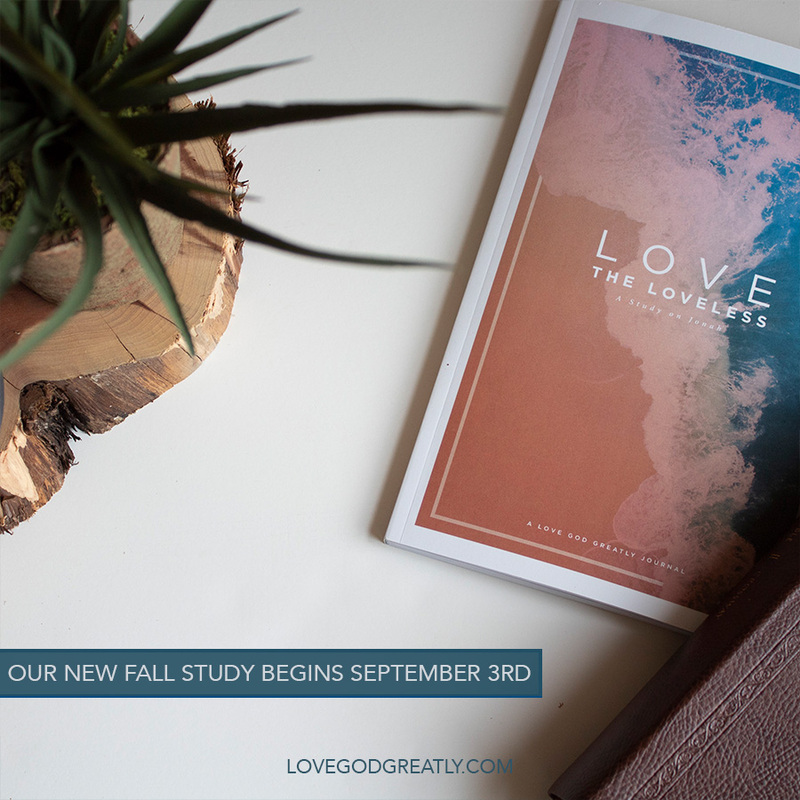 Friends, join us on Monday, September 3rd as we begin this powerful study! Make sure to share this image on Facebook and Instagram to invite your friends to join us, too! Thanks for the great introduction to Jonah. Looking forward to this study and learning how to apply this story to my life. So glad to have you, Janine!!! I want to participate, but our group leader is taking a break. Can I join a new group? How do I do that? You are more than welcome to join our larger group, Valerie! I tried to find the YouVersion for tomorrow, but the search kept coming up without any good results. Can someone help? I still can’t find it and I’m using what I always use. the Bible.com. We don’t have a smart phone so we have go through chrome. About to go to my first mission trip to Nepal and the timing is right after this devotion. Looking forward to what God has to say. Thank you for this. Is anyone else having trouble finding the Bible study on youversion?